يقع HarbourView Apartment Hotel في منطقة مشهورة للغاية في المدينة. هذا الفندق هو من الخيارات الشائع بين المسافرين. يقع مركز المدينة المثير على بعد فقط. سوف يعشق النزلاء موقع هذا الفندق، فهو قريب من أهم المعالم السياحية في المدينة . يعمل HarbourView Apartment Hotel على ضمان إقامة مريحة لضيوفه من خلال خدماته الممتازة وحسن ضيافته. يقدم هذا الفندق العديد من الخدمات الكفيلة بإرضاء أكثر الضيوف تطلباً. في HarbourView Apartment Hotel غرف نوم يزيد عددها عن 70 صممت بذوق وعناية لتوفر لك كل وسائل الراحة . بعضها يحتوي أيضاً على تلفزيون بشاشة مسطحة, سجاد, مواد تنظيف, قهوة فورية مجانية, شاي مجاني. كما أن مجموعة الخدمات الواسعة الموجودة في الفندق لضمان راحتك تترك لك الكثير من الخيارات لقضاء وقتك أثناء فترة إقامتك. مهما كانت دواعي سفرك فإن HarbourView Apartment Hotel هو خيار ممتاز لإقامتك في المدينة. يُرجى ملاحظة أن خدمة انتظار السيارات في موقع آمن متوافرة لقاء رسوم إضافية. ويوصى بحجز هذه الخدمة مقدمًا قبل الوصول بسبعة أيام بسبب العدد المحدود للأماكن. The front desk staff was very friendly and helpful. However the corridor was smelly, the Wi-Fi didn’t work in my room, and the “gym” was super small and only consisted of three cardio machine. There’s no sauna as advertised on the Agoda place. Dear Guest, Thank you for staying with us. We apologise for the inconvenience caused if we didn’t meet your expectations. We appreciate your feedback. Thank you. Kind Regards, Arrow on Spencer. The location is not too far from skybus southern cross station. In front of the hotel, there is a tram station. It is very convenient. Nearby having Coles supermarket. Staff and room are friendly & good. If going to Melbourne, i will stay there again. Location at the top end of the city center was good. Well priced for a room with kitchen and two beds. My main concern was the cleanliness. Room looked outdated and the bathroom looked like it needed a good scrub. There was hair in there that wasnt mine. And the entire room, and doubly outside in the hallway smelt like leftover takeaway food. 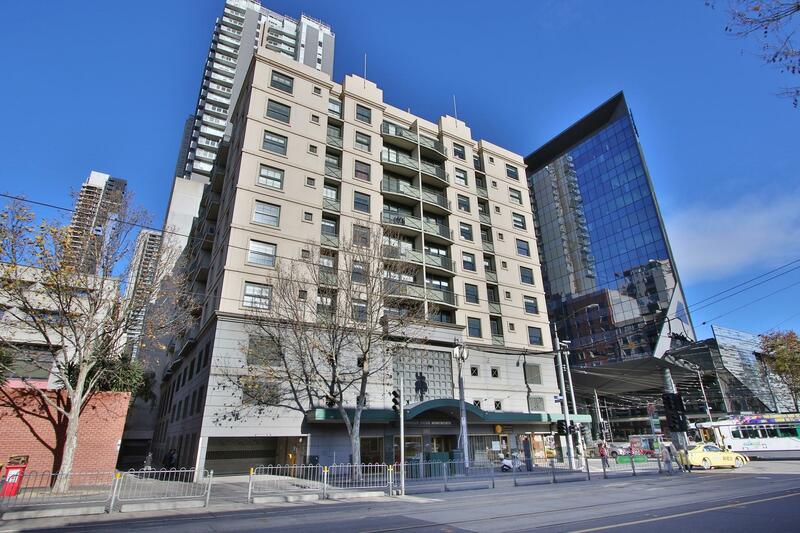 This hotel is in an excellent location, a short walk from Southern Cross Station, with trams outside the door, makes it easy to get around Melbourne. The rooms are a good size with a small kitchen. The room was quiet, the staff were helpful, we arrived early in the morning from overseas and as our room ready we had access straight away which was great after an overnight flight. I would recommend this hotel, the price is good and is value for money. Just be aware that the hotel is changing names to 'Arrow on Spencer' if you are going to book. Spent 2 nights here. Apartment is big, furnitures a bit worn out but all in good working conditions. Bathrooms are clean. Kitchen has everything - toaster, oven, microwave, utensils, pots and pans. Central aircon is quiet. Close to Southern Cross station for trains and buses. Trams are just outside entrance. Near to QVM. Reception is friendly and accommodative. We had a pleasant stay. 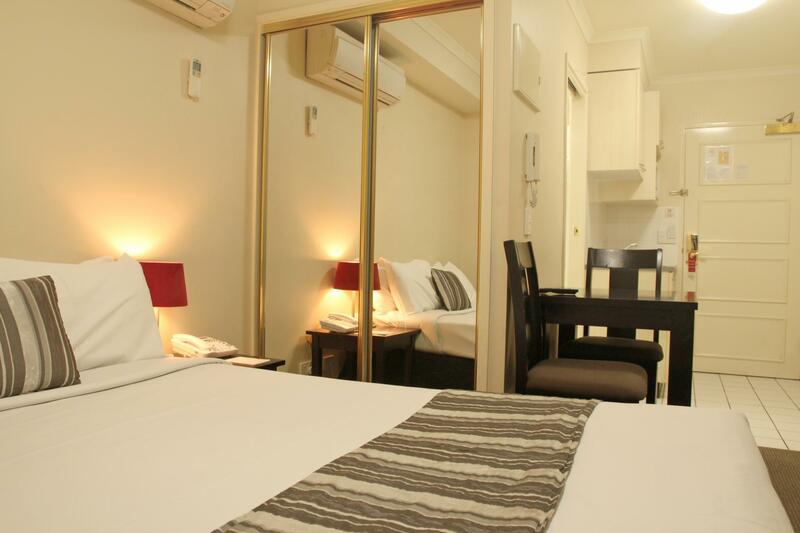 Very close to Southern Cross station, good sized room and friendly staff. Dear Guest, Thank you for staying with us. We are glad that you had a comfortable stay. We hope to see you again in the near future. Kind Regards, Arrow on Spencer. Would not pay anymore. Awesome aircon. Place is tired looking. We were on level 3 and the entire level smelt of lingering cooking smells. Beds were comfy. Was a little noisy due to being right on corner. Ok if you're looking for somewhere to sleep but not spend a lot of time in. Dear Guest, Thank you for staying with us. We are glad that you had a comfortable stay. We hope to see you again in the near future. Kind Regards, Reception. Basic hotel, reasonably clean, reasonably comfortable. Appears to be very popular with Asian people, and has no noise insulation. Screaming arguments from surrounding apartments, shouted conversations in the corridors, Asian cooking smells, not to mention the flamenco dancing convention upstairs. I will look somewhere else in future. Tram right outside number 30,35,86 easily going into Melbourne town. China town walking distance around 1.2km. Coles supermarket across the street which opened until 12am, and shopping at spencer street outlet and DFO outlet is nearby. Breakfast choices not much in the area only Subways, Hungry Jacks and Japanese restaurant nearby. Overall suitable for family stays. 2 bedrooms enough to fit a small family. Close to Southern Cross station and Coles supermarket which closes late nearby. You can actually see dry grass or should I say hay on the carpet. Typically mediocre cleanliness standard for most accommodation of thud price range in Melbourne. Dear Guest, Thank you for staying at Arrow on Spencer. We are glad that you were happy with the location as it is accessible to everything. Thank you for your feedback. We hope to see you again in the near future. Kind Regards, Arrow on Spencer. 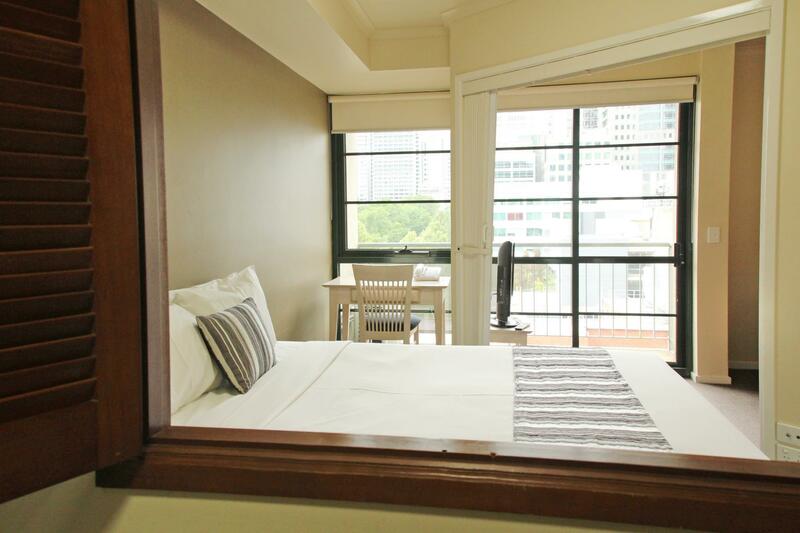 The Harbour View Apartment is centrally located to nearby Melbourne attractions like Harbour Town, Etihad Stadium, Queen Victoria Market, Crown Casino Complex, etc. There are three tram stations right beside and in front of the apartment hotel which make transport extremely convenient to reach other attractions like Melbourne Museum, Parliament Garden, Royal Botanic Garden, Shrine of Remembrance, Old Melbourne Gaol, Nationa Gallery of Victoria, ACMI, Federation Square, Chinatown, Bourke Street Mall, Aquarium, Melbourne Star Observation Wheel, Melbourne Central Station and Flinders Street Station, etc. All tram rides within Central Business District and Docklands District are free. The apartment is also within walking distance to Southern Cross Station where Sky Bus shuttle to Melbourne Airport can be accessible. 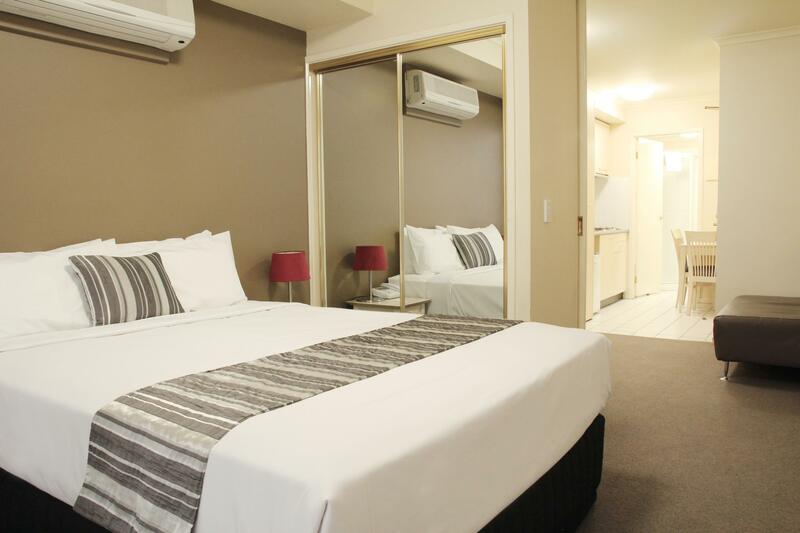 The hotel staff are very hospitable, and food is easily available from nearby restaurants located in Southern Cross Station, Chinatown or Melbourne Central Station areas. Free Tram Zone is just in front of the building. Coles across is until 12mn. Room is huge 4-5 people can actually fit, bed is clean and comfy. Old building, but still ok. Staff are polite. You can leave your things to the reception area after check out so you can still go around the city. 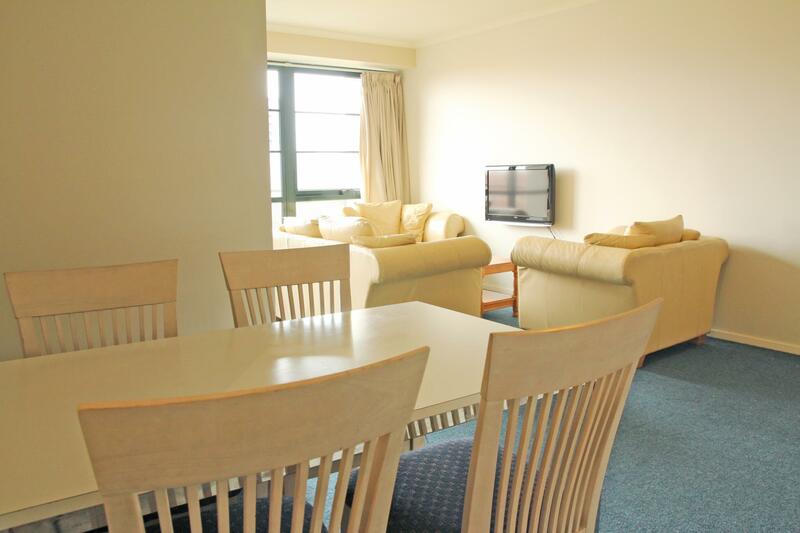 The one bedroom apartment is spacious and clean. kitchen is well equipped and clean. bathroom is spacious and clean. 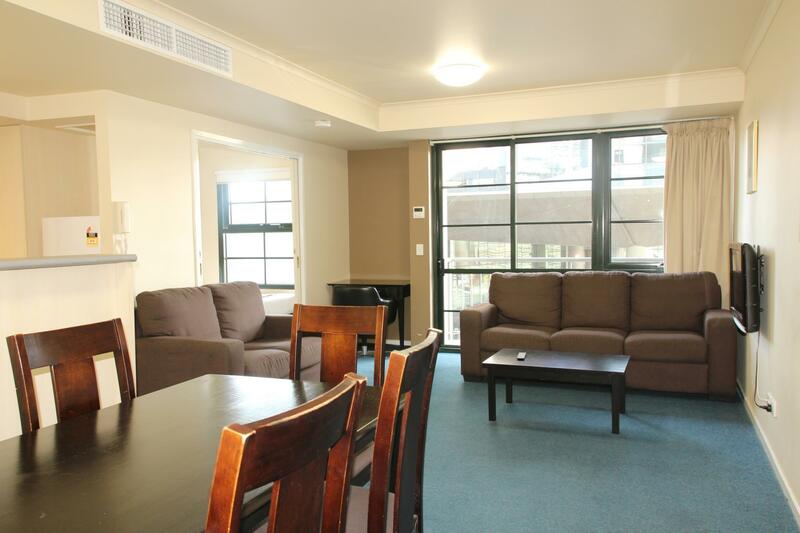 location is good, near to southern cross station, coles supermarket and right infront of the tram stop. the tram sounds doesn't really bother me. there is laundrette and they do housekeeping every day. I feel safe and comfortable during my stay here. 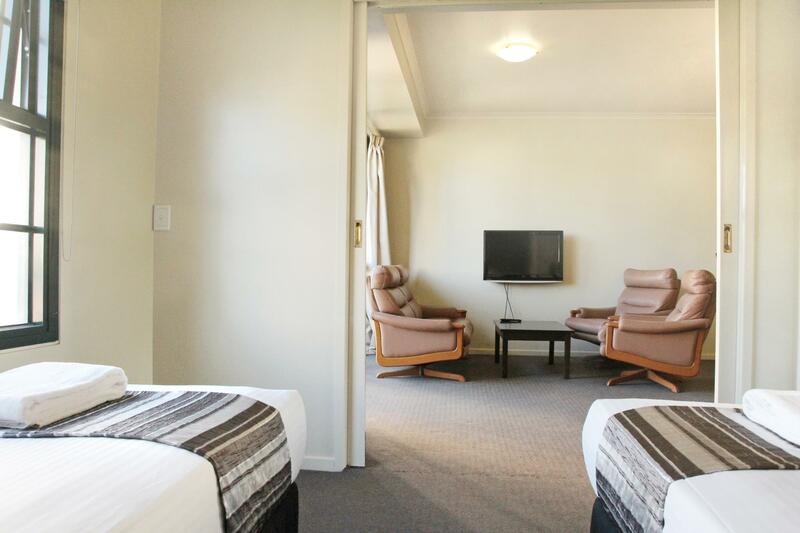 Location is good, just 10 mins from Skybus, only 1 mins from Free tram station to hotel. Room is clean and comfortable to stay!